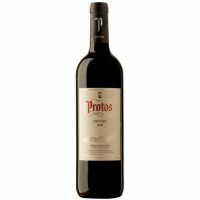 View basket “Bodega Peique Viñedos Viejos Mencia” has been added to your basket. As one of the most respected Rioja producers in the region, having established themselves in 1985, Martinez Lacuesta produces excellent quality Riojas. Vines are on average 25 years old and 450-600 metres above sea level! With 32 months in spent in oak, this has rich red fruit and coffee aromas and a long luxurious palate.